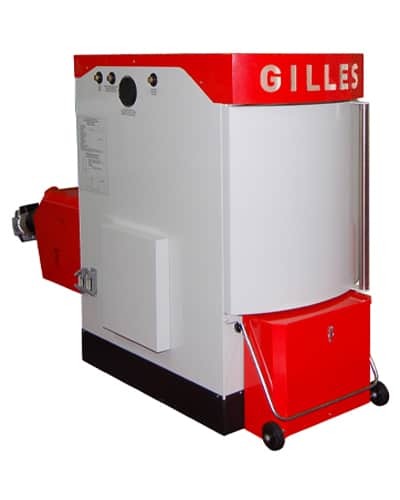 Biomass heating is common in European countries because they realise that installing a biomass boiler reduces heating costs and carbon footprint. Biomass is completely sustainable; the fuel supply can be generated quickly from local agricultural/forestry activity considerable savings in annual fuel bills can be realised as biofuels are significantly cheaper than fossil fuels. Biomass is produced from organic materials, either directly from plants or indirectly from industrial, commercial, domestic or agricultural products. Woody biomass includes forest products such as wood chip and wood pellet, untreated wood products, energy crops and short rotation coppice (SRC), which are quick-growing trees like willow. Non-woody biomass includes animal waste, industrial and biodegradable municipal products from food processing and high energy crops. Examples include sugar cane and maize. Because the heat or electricity you produce is used locally, it minimises transmission and distribution losses. Biomass is reliable; it can be stored and used on demand. Enerpower’s Biomass systems are environmentally friendly because they use this renewable resource rather than fossil fuels, biomass is reliable; and it can be stored and used on demand. Regardless of your business, reducing costs and saving money is a priority. Many businesses and managers have very little time to spare to take the initial steps seeking out a better rate for their energy use. This is where Enerpower can come in and help a company to save money. The Irish Government has launched the Support Scheme for Renewable Heat putting in place a scheme which will financially support the replacement of fossil fuel heating systems with renewable energy such as Biomass Boilers for large heat demand non-domestic customers.Enerpower wants to make sure that you’re saving as much as you possibly can on your monthly bills and their significant experience and expertise will help secure immediate savings on your energy cost. Enerpower strive to deliver the highest possible level of savings on your monthly energy bills. If you have any more questions, please call us today on 051 364 054.